I became a consultant and coach because I wanted to help create better, happier workplaces. I have seen too many unhappy, frustrated, stressed-out people at work. There were times in my career when I was one of those people. While I know that there are many reasons that cause people to be miserable or stressed at work, the one that has the biggest impact? The relationship with their manager. As they say, “people don’t leave jobs, they leave managers.” So, when someone becomes a better manager of people, the people become better employees – more positive, more engaged, less stressed-out. As I wished everyone a happy new year these past few weeks, I wondered how that wish could be less of a perfunctory saying and more of a vision – how can I play a bigger part in making a happy 2019 a reality for others? So, over the next year, I’ll be looking at the management behaviors that lead to ideal workplaces. I’ll start with positive reinforcement. The other day I was waiting in a service establishment, and I observed a young employee taking direction from a manager. I had spoken with the employee earlier, and she seemed quite capable, friendly, and responsible – just the kind of person you want working in a service business. As she interacted with the manager, I noticed that her demeanor changed. As the manager told her to do various tasks and critiqued the way she did them, the employee grew more and more unsure. She had a worried look on her face and asked a lot of questions, which only made the manager more frustrated and directive. Eventually the employee spilled something, and the manager really started to get upset. By the end of the interaction, the employee was clearly rattled. Instead of the friendly, upbeat person I encountered when I first came in, the employee now looked worried, unsure, and disengaged. What outcome were you looking for? What were you trying to achieve? How well did you accomplish that? What do you think got in the way? What did you notice about this employee’s reactions to your interaction with her? What have you seen in this employee that shows you the value she brings? How can you be less of a “boss,” and more of a coach to this employee? By helping the manager take a step back and reflect on the interaction, she hopefully would realize that positive reinforcement and a more coach-like approach would have been much more supportive of the employee and would have resulted in giving the employee greater confidence and a better understanding of the outcomes she was looking for. Adopting a more positive tone in her communication, pointing out the things that the employee was doing well such as her great customer focus, and giving her the more critical feedback out of earshot of others are just a few ways to accomplish this. 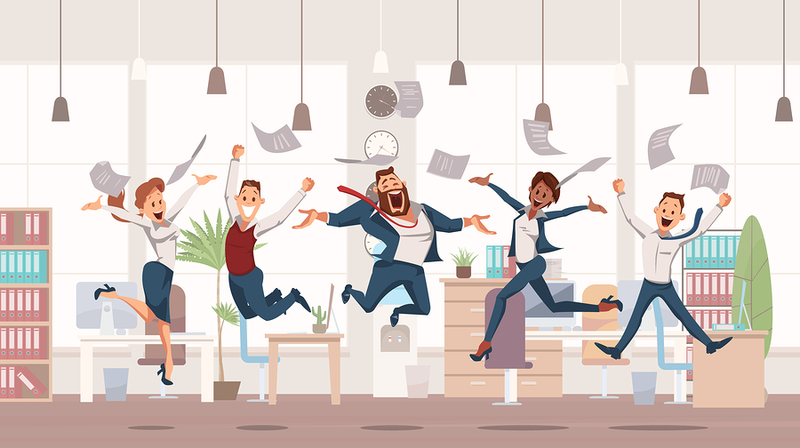 And, in the end, that kind of positive reinforcement can lead to a happier, healthier workplace not just for this employee but for all the other employees working there. What would contribute to a happier, healthier environment in your workplace? To learn more about the ways in which you can manage differently, contact Robyn at rmcleod@chatsworthconsulting.com.